A security professional deals with so many things to safeguard their company or firm from different kinds of attacks. Memory Forensics is also one of them that help information security professionals to find malicious elements or better known as volatile data in a computer’s memory dump. Now, before jumping to Memory Forensics tools, let’s try to understand what does volatile data mean and what remains in the memory dump of a computer. When the computer is in the running state, all the clipboard content, browsing data, chat messages, etc remain stored in its temporary memory. These data are called volatile data, which is immediately lost when the computer shuts down. Suppose, you are working on a Powerpoint presentation and forget to save it on your hard drive or any non-volatile storage. Then, you would lose all the work if your computer lost power before saving the document. What Remains in the Memory Dump? Memory Dump contains memory data snapshots captured by your computer at a specific instance of time. It’s also known as Core Dump or System Dump. It also contains useful forensics data such as the state of the system before a system crash or security compromise incident. Memory dumps contain various RAM data that can clarify the cause and other key details about such incidents. 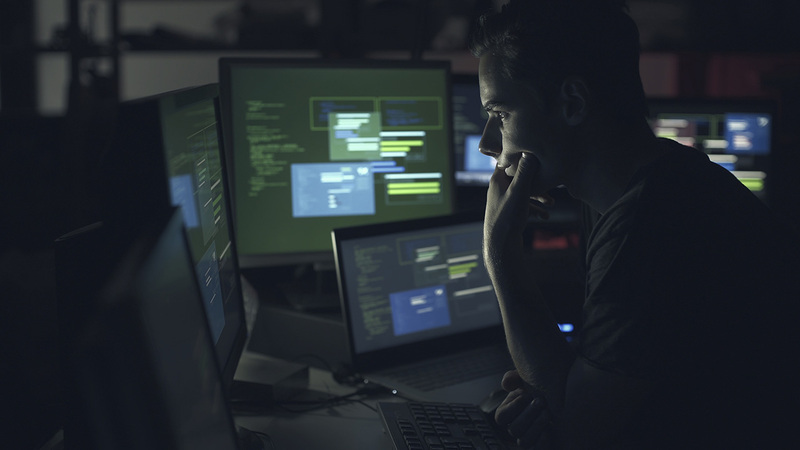 Memory Forensics provides complete details of executed commands or processes, insights into runtime system activity, information about open network connections and lots more. Let’s have a look at some best Memory Forensics tools available out there. BlackLight is one of the best and smart Memory Forensics tools out there. It makes analyzing computer volumes and mobile devices super easy. Apart from that, BlackLight also provides details of user actions and report of memory image analysis. It efficiently organizes different memory location to find the traces of potentially important user activities. Blacklight analyzes several types of memory files including Hibernation files, pagefile.sys, raw dumps and crash dumps. It can also perform bulk extraction content searches for various items such as phone numbers, addresses, URLs, etc. 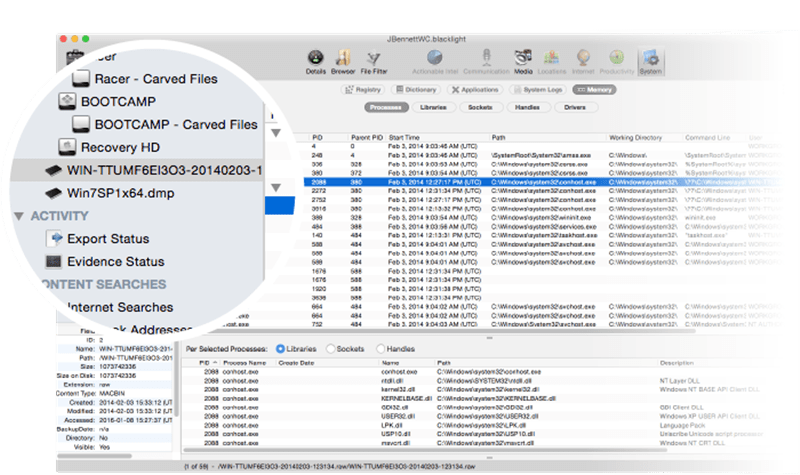 Blacklight comes with a powerful file filter view and it’s a way faster than other open-source forensics tools. You can use this tool to analyze data from all four major platforms i.e Android, Windows, iOS and MacOS X. BlackLight comes with a hefty price tag but you can request for free trial, use it for some time and then decide whether your team or company need it or not. Volatility is another forensics tool that you can use without spending a single penny. Yes, it’s free and help security professionals understand the power of analyzing the runtime state of a system using the data found in volatile memory (RAM) dumps. 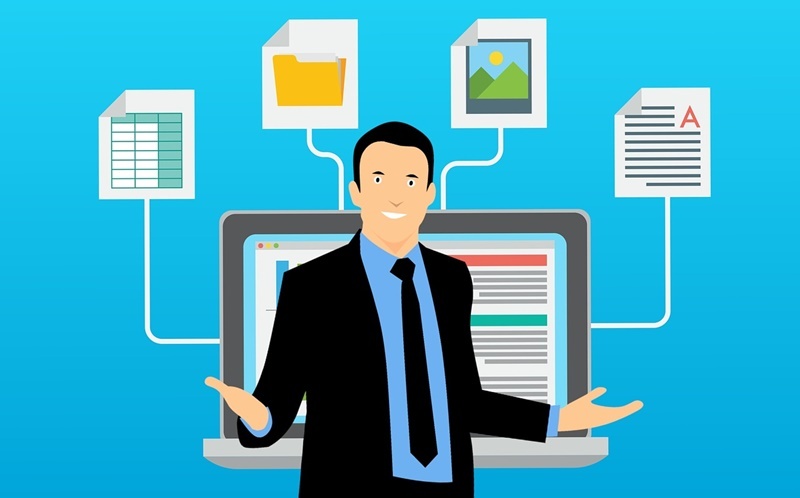 It’s a cross-platform, modular, and extensible platform which allows you to extract useful information about network connections, open sockets, running processes, process DLLs process, cached registry hives and lots more. This forensics tool is now supported by one of the largest communities and can in many ways in your digital investigation. Volatility is available for Windows, MacOS X and Linux operating systems. 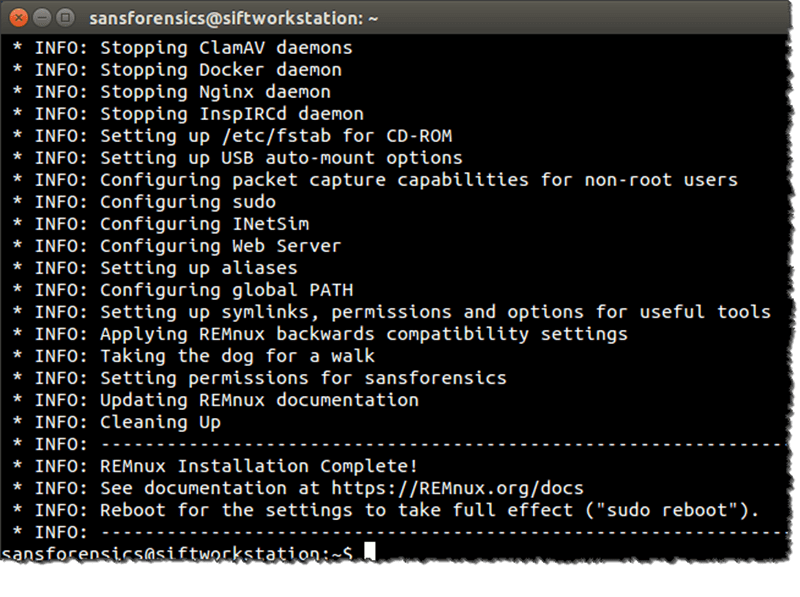 The SANS Investigative Forensic Toolkit (SIFT) is a popular digital forensics tool that comes with all the essential features. It’s an open-source tool and known for performing in-depth forensic or incident response investigation. It supports Advanced Forensic Format (AFF), RAW (dd) evidence formats and Expert Witness Format for deep analysis. The SANS SIFT comes with a user-friendly interface. You can either launch the required tools from the top menu bar or go with the traditional way of using the terminal window. It also includes other useful tools such as Rifiuti for examining the recycle bin, log2timeline for generating system logs based timeline and Scalpel for data file carving. SANS SIFT offers better memory utilization, the latest forensic techniques, Auto-DFIR package update and cross compatibility between Linux and Windows. I hope you found the article useful and now understand the Memory forensics quite well. There are various digital forensics tools available out there but most of them are either not regularly updated or lacks the community support. If you own a Ubuntu system, I suggest you go for SANS SIFT. Volatility is good for all of the three platforms and lastly, the BlackLight is good for big companies and organizations.